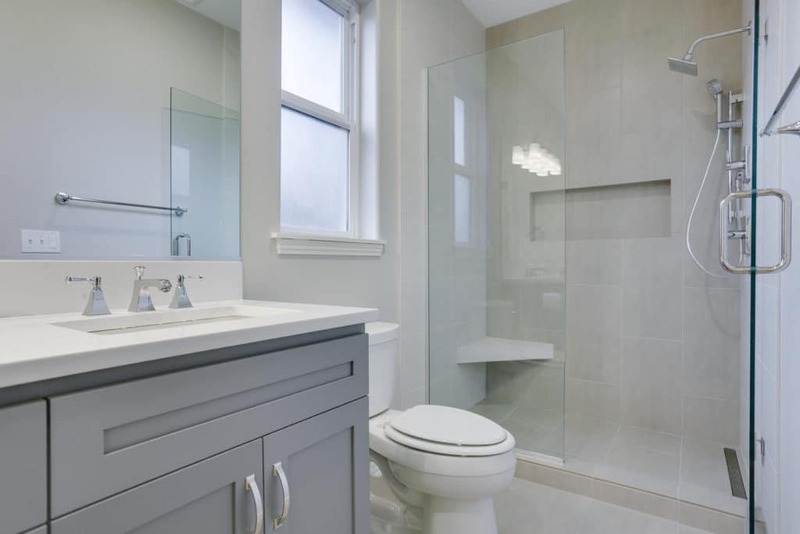 Our latest transitional bathroom remodel in Fairview, Oregon. 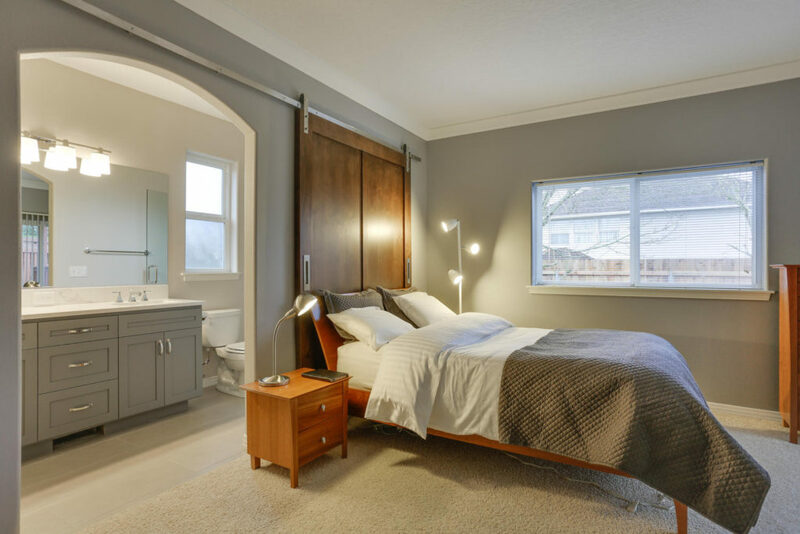 We completely remodeled the bathroom and added a custom sliding barn door. Here is a great view of the Borghini polished quartz by Pental. 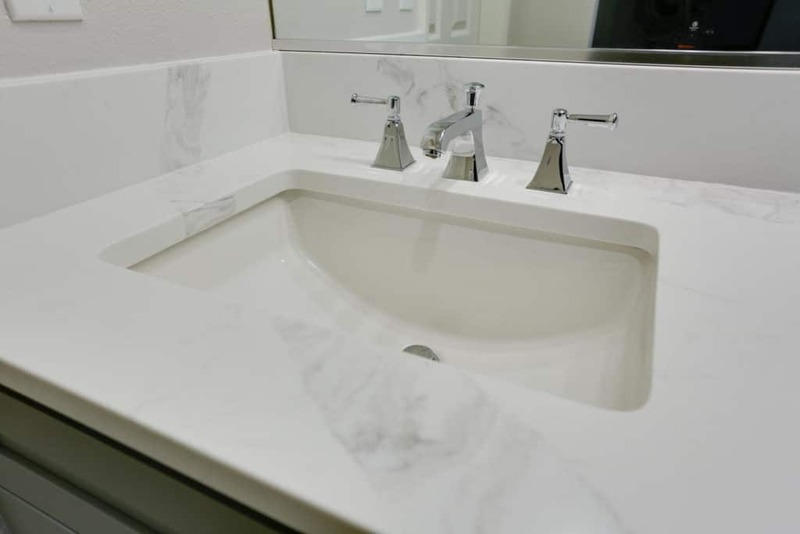 It’s a lovely quartz color, and is great if you love the marble look. The thick strip of gray running through adds variety to the piece and complements the cabinet colors. See other Quartz slabs that look like marble. 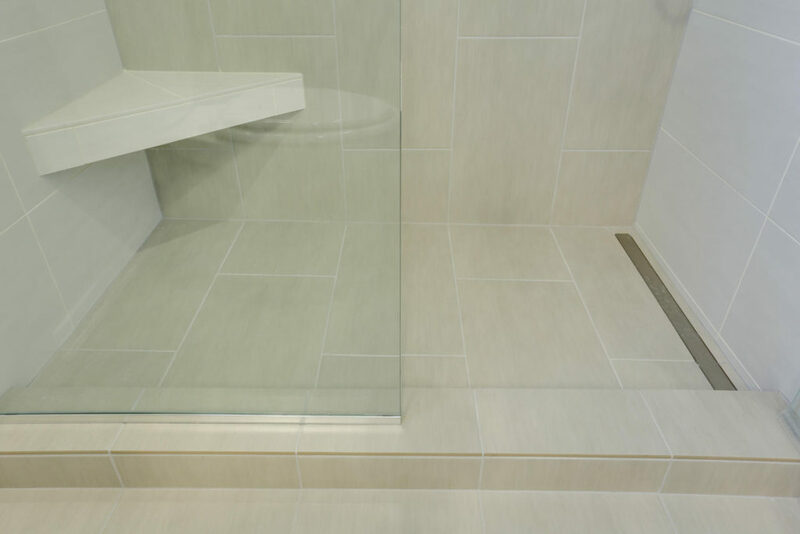 This shower is outfitted with beautiful porcelain from Daltile. The color is “Theorem Ivory”. 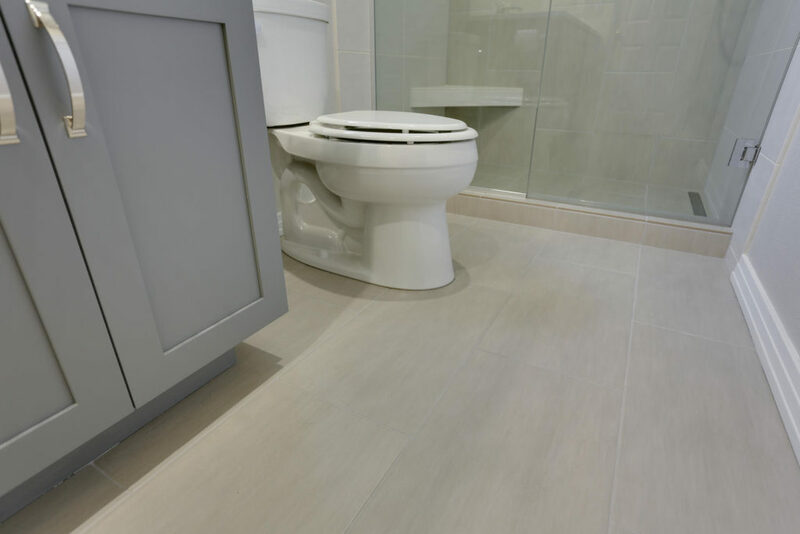 You can order a sample from Daltile’s website. 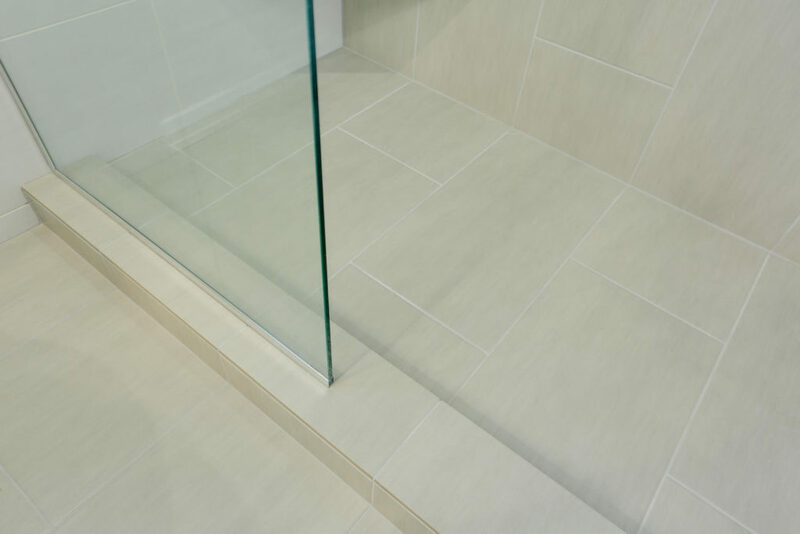 The shower floor has a slight incline so the water drops down and into the drain. 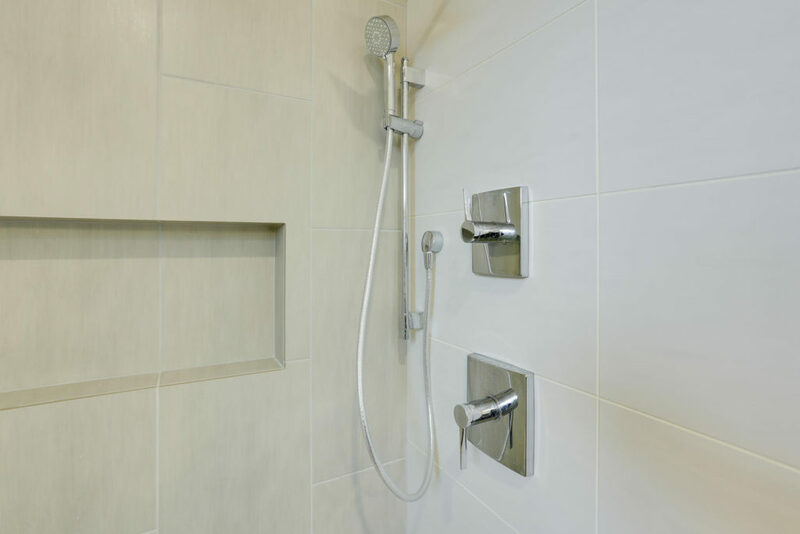 A very elegant look, and a big upgrade from the normal plugs or circle drains that you’ll find in a bathtub or standard shower. 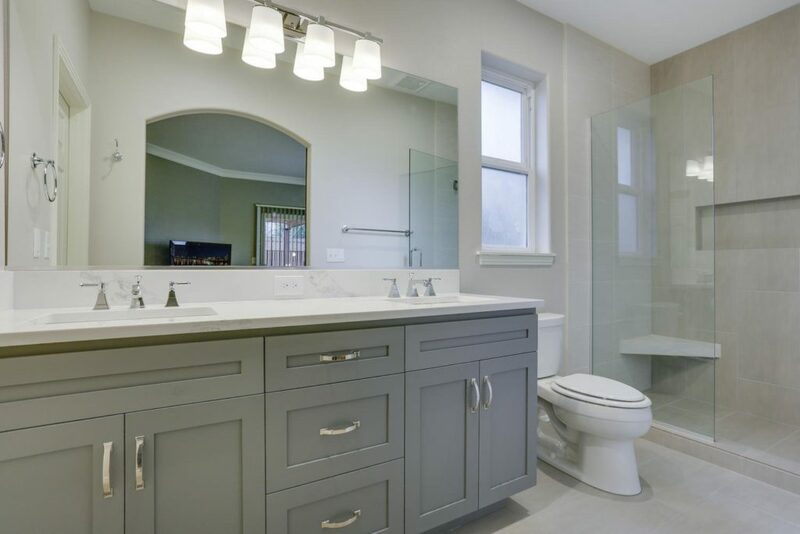 All fixtures in this bathroom are made by Kohler. 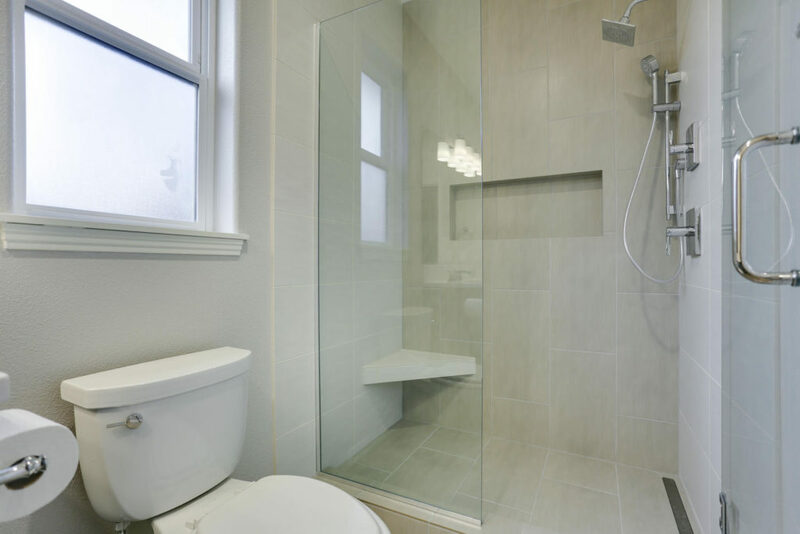 Originally, the doorway to the bathroom was completely open and offered no privacy. 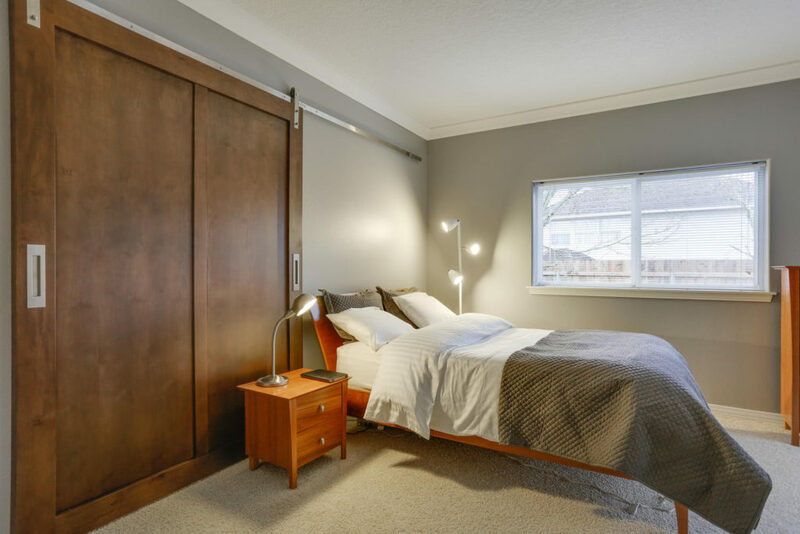 We made this custom alderwood sliding Barn door that also doubles as a headboard.